My daughter and I dabble in art. 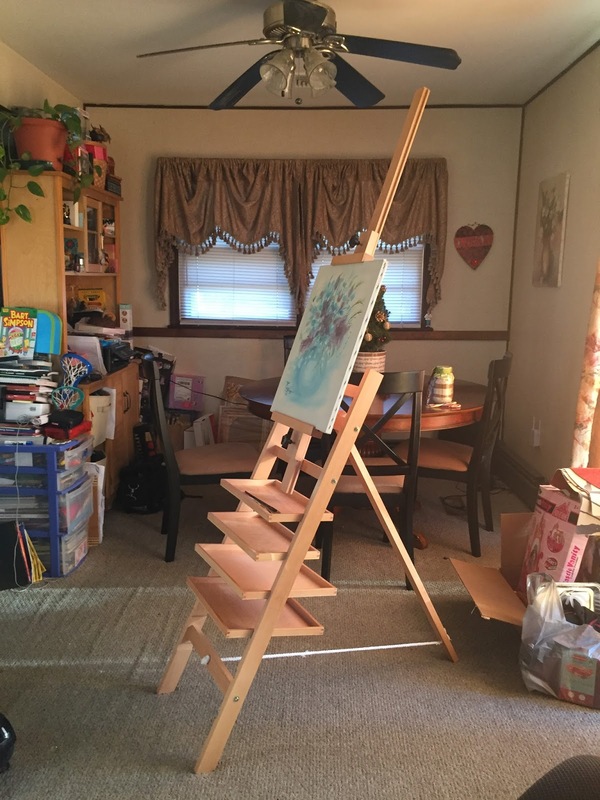 We love painting, sketching, and all forms of mixed media so getting an easel was just one of the things we knew we would eventually get. The box was tall and light so when I started opening it and saw a bag with a screw driver in it I was surprised but quickly noticed that most of it was already put together. 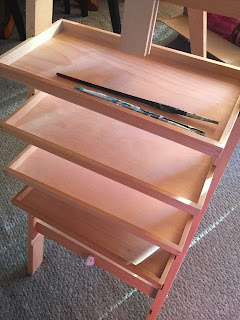 While I worked on the tall piece my daughter fit the shelves into the fitted slots on the legs. They are removable and in order to fold and store they will need to be removed. 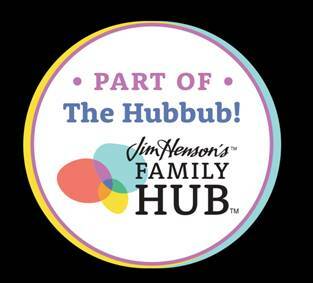 We don't have a place to keep it out so it will be stored and taken out when we need it. Thankfully it would only mean opening and reinserting the shelves. 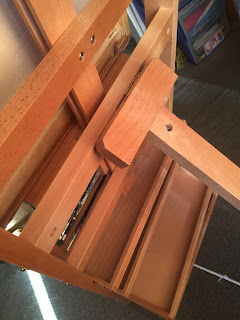 The easel comes in 8 pieces with four of those being the shelves. 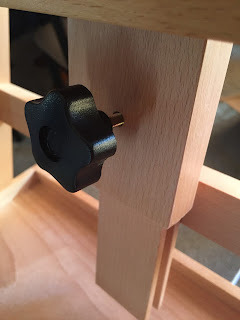 The tall piece needs four screws to affix it to the base. It comes with all necessary hardware. 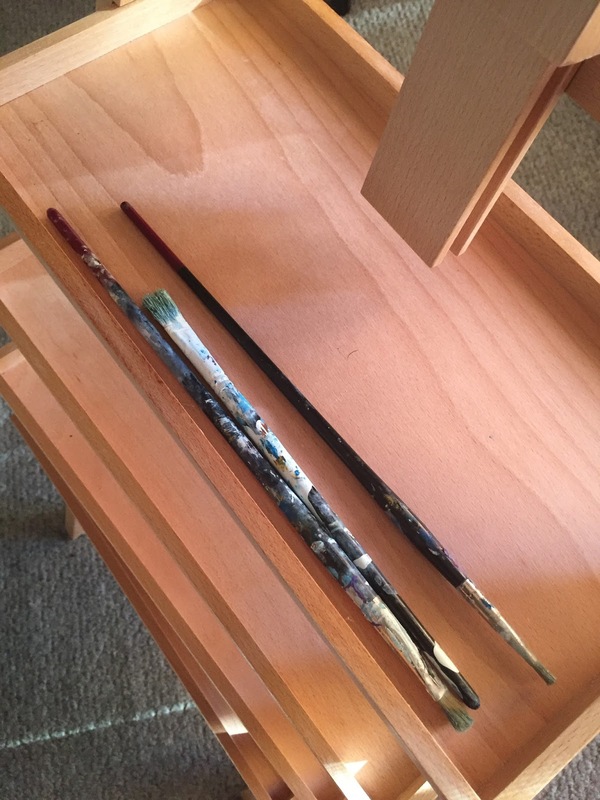 There are two pieces that slide into the large standing piece which will become the top and bottom for your easel. There was a small crack in the large piece. It doesn't affect it in any way and was in the back so you can't even see it. The large piece is really really tall. I would probably cut a foot or two off. The placement of the back leg made it hard to put the bottom screws in easily. They got in but my hand kept hitting the back leg. The bottom drawers bang my legs when I stand close to the easel as you would to paint. All in all I love this piece and think the price is fairly good. Disclaimer: I received a product at a deep discount for my honest opinion.